On behalf of the Asheville School Parents' Association, we are delighted to welcome you to our family. We are a committed group of parents, actively involved in the life of our school and hope that many of you will choose to join us and participate in our exciting events. All current parents, boarding and day, are members of the Parents’ Association. The Parents' Association is an organization whose purpose is to encourage and facilitate parent involvement in the Asheville School community and to strengthen communications on issues of interest and concern to parents. The Association is led by a chair who serves as a representative on the Board of Trustees and by an Executive Committee which represents all forms boarding and day. We work in conjunction with the Director of Parent Engagement. The Asheville School’s Parents' Association provides numerous opportunities for parents to actively support events at the school both in person and/or with contributions of food and treats. Parents may serve as coordinators on our committees or volunteers for our events. The Association also coordinates the Parent Mentor program for new parents joining our Asheville School family. We encourage our parent body to share their talents and ideas with the School so that we may enhance the experiences of our students. We welcome your involvement and your feedback! Volunteer opportunities will be posted on the Parent Resources page throughout the year as well as sent directly by email from Lynn Gilliland, the Director of Parent Engagement. 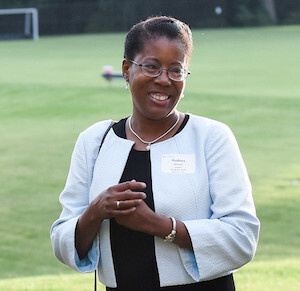 Audrey Alleyne, parent of Nathan '18 and Nicole '19, is chair of our Parents' Association chair this year. Please feel free to contact her at any time with questions, concerns, suggestions and ideas. We welcome you to our Asheville School community and look forward to getting to know you and your student during the coming years. GO BLUES! We are glad you are part of the Asheville School family and want to make it easy for you to access the information you need. My role as Director of Parent Engagement is to keep you in the loop about what is going on. You hear from me through the weekly Wednesday e-news, on the Parent Facebook group and in person! Feel free to contact me at any time with questions, comments or suggestions. I am here to be your resource! My connection to Asheville School began when my younger son, Matthew, arrived for the 2009-10 school year. I am delighted to say Matthew graduated in 2013, attended Davidson College and has returned to Asheville School as an Associate Director of Admission. It is great to have him as a colleague! My background includes banking, medical practice administration, development, and student life at the college level. I live in Montreat with my husband Bill, a certified business coach, and our three cats. Our older son Mac, also a Davidson graduate, lives in Chapel Hill. Thanks for sharing your student with us! If you are on campus, be sure to stop by Bement House and see me. 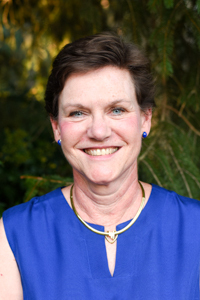 You can also reach me by email at gillilandl@ashevilleschool.org or by phone at 828-254-6345, Extension 4075. GO BLUES!